Dr. Aaron Black is a Fellowship trained orthopedic surgeon specializing in sports medicine, with an additional focus on orthopedic trauma. Dr Black was born in Minnesota and moved to Evergreen, Colorado when he was 10. He went to High School at Colorado Academy, where he was a cross-country runner and a competitive swimmer – specializing in the breaststroke. He was also a ski instructor at Copper Mountain on the weekends. In 2004 Dr. Black completed his undergraduate degree in Biology at Colorado College in Colorado Springs, where he majored in Biology and Italian. He had the honor of being the Vice President of his college class. He became a personal trainer while he was in college and began his fascination with anatomy. 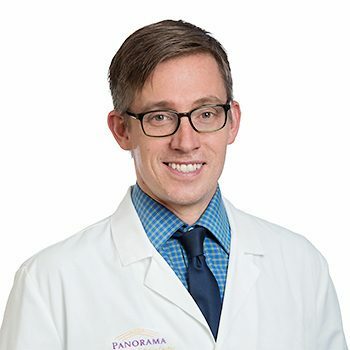 Following his undergraduate degree, with an interest in medicine, he came to Panorama Orthopedics & Spine Center that summer where he shadowed, Dr Eric Stahl – now the Chief Medical Officer at Aspen Medical Center. He spent time with him in both the ER and the Clinic experiencing orthopedic medicine. The following fall, he moved to Vail where he worked as a clinical researcher at the Steadman Research Institute and while doing that also worked the night shift as a nurses aid at the Vail Valley Medical Center. While in Vail he took advantage of all the things the mountains had to offer as an avid skier, hiker, road and mountain biker. With the conviction that he wanted to work in medicine, Dr Black moved to Chicago to attend Loyola University, where he received a Masters in Medical Sciences and from there he went to Drexel University in Philadelphia to receive his Medical Degree. Following medical school Dr. Black went to Tufts for a prestigious orthopedic surgery residency focused on orthopedic trauma and joint replacement. Following his school at Tufts he travelled to Taos, New Mexico for his Sports Medicine Fellowship. Throughout his academic and professional career, Dr. Black has provided sports medicine coverage to athletes of all age and skill ranges including amateur, semi-pro, and professional athletes. He has worked with Cathedral High School Basketball, Boston Semi-Professional Football, Quincy High School Football, and Merrimack College Division I Women’s Ice Hockey. Most recently Dr. Black has been involved as the orthopedic consultant to the Taos Ski Valley Ski Patrol and Medical Staff, and providing orthopedic coverage to Taos High School Football, University of New Mexico Highlands Football and in 2017 Dr. Black began working with the US Ski Team as a team physician. “I was drawn to orthopedics because it is an area of medicine that is reconstructive,” says Dr. Black. “I liked the idea of helping people feel good and getting them back to doing what they love. For me I choose to specialize in Sports Medicine because I love being active, and especially enjoy endurance sports, so I have had a lot of injuries over the years myself. Working with athletes is unique because they expect to get back to 100% – not 95% – and getting patients back to 100% is extremely gratifying to me,” he says. 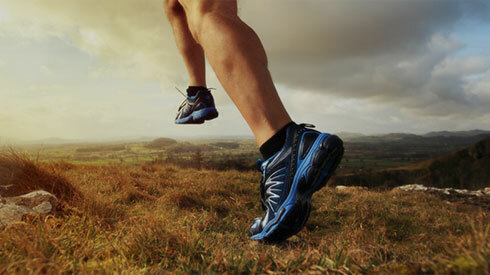 Dr. Black specializes in knee reconstruction, knee repair, acute ACL tears, and knee replacements. He also is a specialist in complex rotator cuff shoulder surgery, shoulder instability, and superior capsular reconstruction. Dr. Black is well versed in total shoulder surgeries, reverse total shoulder surgery, and management of shoulder arthritis. He maintains a special interest in cartilage restoration procedures. Among other sports medicine orthopedic needs, Dr. Black sees trauma patients including those with complex fractures. Dr. Black grew up in the mountains and is thrilled to be back in Summit County! His passion for sports continues today as he is an expert skier, has competed in numerous triathlons, road bike races, swimming competitions and has even mountaineered the Swiss Alps. He also has an interest in re-building cars. Local residents can expect to see Dr. Black enjoying all that Summit County has to offer. You might catch him skiing, mountain and road biking, running, swimming, backpacking, mountaineering and competing in local races and competitions across Summit County and the Vail Valley.